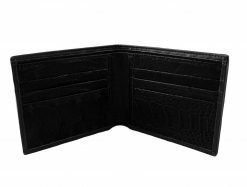 You can’t fail to attract attention with this funky mens wallet made from jet black ostrich leg skin with a matching ostrich interior. 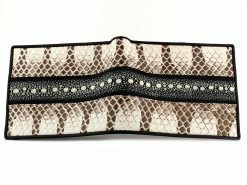 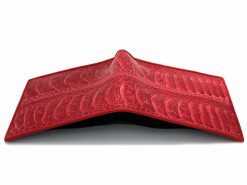 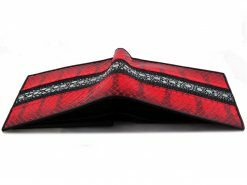 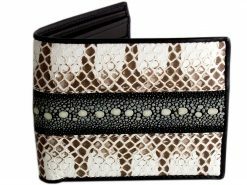 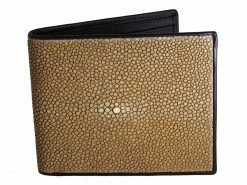 This ostrich skin wallet is made using two ostrich legs to get a “double scallop” effect. 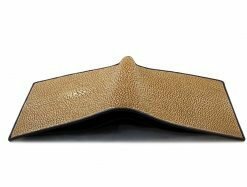 Tanning the skin jet black, gives these wallets a slight vintage feel to it and would look great resting on the dash of a 1965 Mustang convertible. 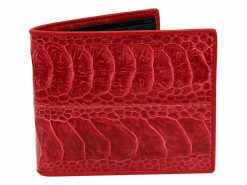 If you don’t have said car it will work just as well in the back pocket when you’re hanging out with the guys in the local sports bar. 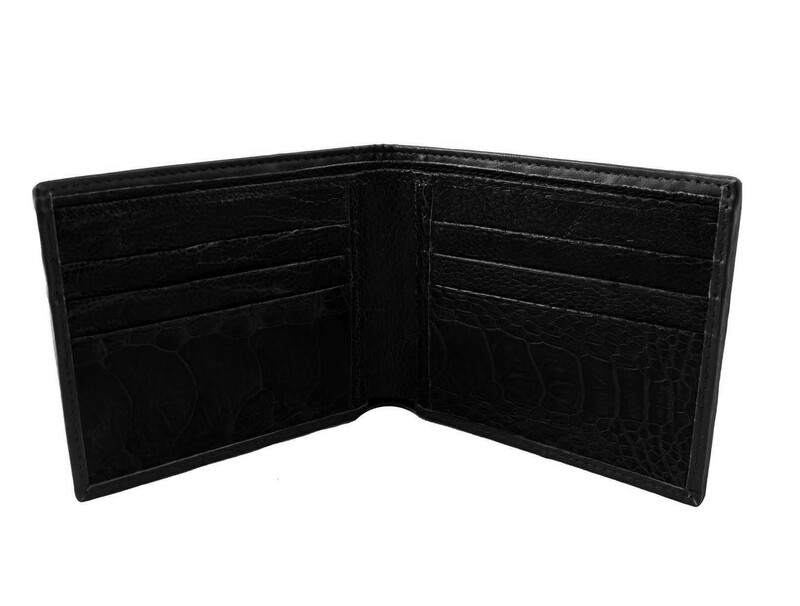 Designed and made by RMW from scratch, you won’t find these anywhere else. 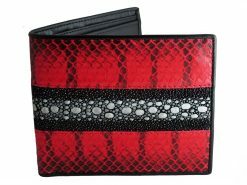 A real style statement..